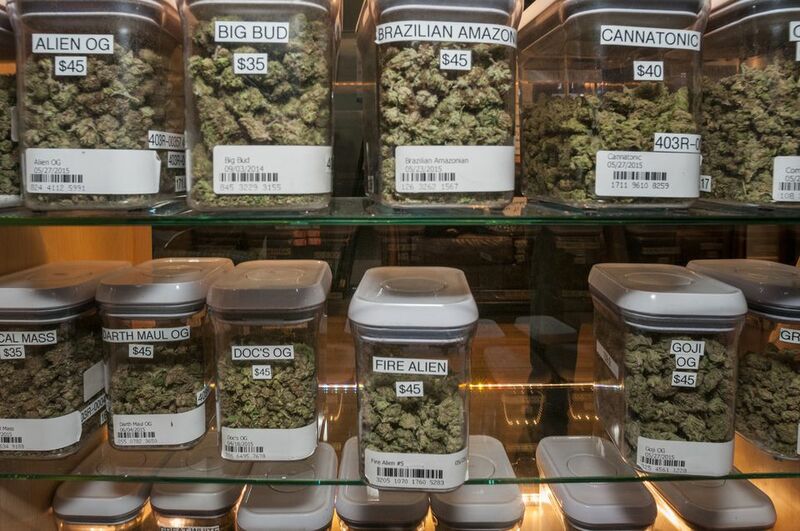 Recreational marijuana users can buy weed at retail stores throughout the state. Weed is legal in Washington State as of July 2014 for both medical use (requires a prescription and allows you to grow your own limited number of plants) as well as recreational use (anyone who is 21 or older). Yes, you can seriously just walk right in to a store. If it's your first time going to a store, it can feel intimidating, but once you enter, most stores are staffed by knowledgeable staff who can help you understand what your options are. Most stores also have a menu you can check out before you approach the counter to buy as well and some have their menus online at Weedmaps. When the law first passed, there were very few stores open, but the list of stores is continuing to grow over time as the state eventually plans to license more than 300 stores. There were just 25 retail shops in mid-2014. Starting in July 2016, all stores were required to be registered by the state and there was no longer a division between medical and recreational stores, so recreational users can find the same products that were formerly only available to those with a prescription. Still, just because pot is legal doesn't mean it's a free for all. There are still rules and regulations about how, when and where you can light up or eat an edible. If you're interested in more about the basic rules to possess and do marijuana, check this list of the basics as well as how to find out more. For a list of places in Seattle where you can buy pot, see below. For the most complete list of both recreational and medical stores and dispensaries, check Weedmaps as the list can and does change. Retail shoppers can buy edibles, pre-rolled joints, buds, extract, CBD oil and extract, and other products. Weedmaps.com is a great resource for retail stores and medical dispensaries near you. Be aware that in order to legally purchase marijuana in Washington, you must be over the age of 21. Your ID will be checked before you can enter the stores. Many laws surrounding legal pot are similar to alcohol laws—no one can do it outside in the open, or drive under the influence. So even though you've probably seen or smelled someone smoking in public, be aware that can result in a citation. Because it’s still federally illegal, most shops also cannot take credit cards due to federal banking regulations so bring cash, just in case. And if you’re from another state, bring marijuana out of Washington at your own risk. It’s still illegal in surrounding states and it doesn’t matter if it was legal when you bought it. The most you can buy by state law at one time is one ounce, but stores can further limit that amount if they are short on supply.